Welcome To The Miami Valley High School Theatre Awards! The Miami Valley High School Theatre Awards and Awards Showcase (MVHSTAs) is designed to celebrate, support, and advocate for high school theatre education throughout the Miami Valley region. The program celebrates high school plays, musicals, students, and educators by formally recognizing the extraordinary achievements of our community’s productions. The Miami Valley High School Theatre Awards (MVHSTA) program is open to public and private high schools. Productions of plays and musicals in the Miami Valley region are eligible for consideration. 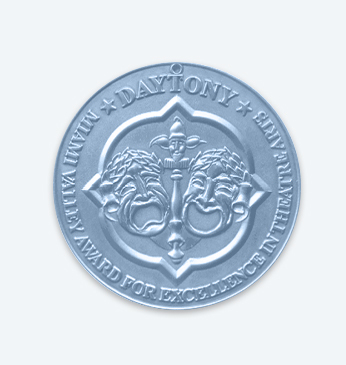 Nominated plays and musicals are adjudicated by trained, experienced community members. Judges must complete mandatory training and adjudicate each production on its own merits. Every participating school will be given the opportunity for students to perform on one of the Victoria Theatre Association stages – the Victoria Theatre or the Mead Theatre in the Schuster Center. All participating high schools will have the opportunity to take part in a number of theatre education activities throughout the year. Educational tours of theatres operated by Victoria Theatre Association. Born from the strong foundation laid by the DayTony High School Theatre Awards, the Miami Valley High School Theatre Awards celebrate the accomplishments of area high school teachers and students by recognizing achievements in productions by participating Miami Valley area high schools. To participate, schools register to have their productions reviewed by a qualified team of adjudicators, who then provide directors with valuable feedback. During the spring, the Miami Valley High School Theatre Awards will present an awards showcase to recognize the outstanding achievements of high school productions and students. Modeled after the Tony Awards®, the showcase features outstanding performances from participating high schools and celebrates their enthusiasm, dedication, and talent while encouraging participating schools to grow and continue improving their programs.